We Are Celebrating 25 Years! 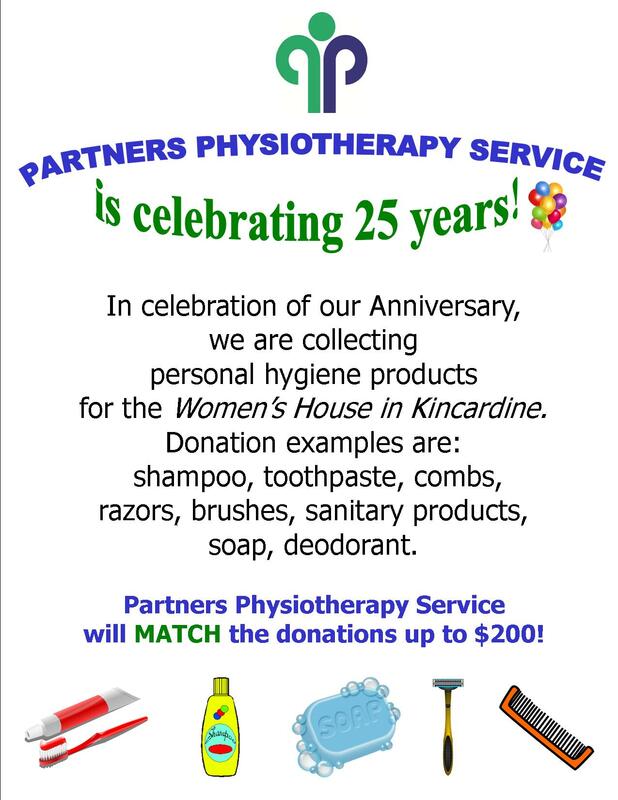 In recognition of the significant and ongoing support of the local communities for the past 25 years, Partners Physiotherapy Service is determined to give back to the communities in a number of ways over the coming months. During the month of April you will find a donation box in our front lobby for Personal Hygiene products that will be given to the Women’s House Serving Bruce and Grey. 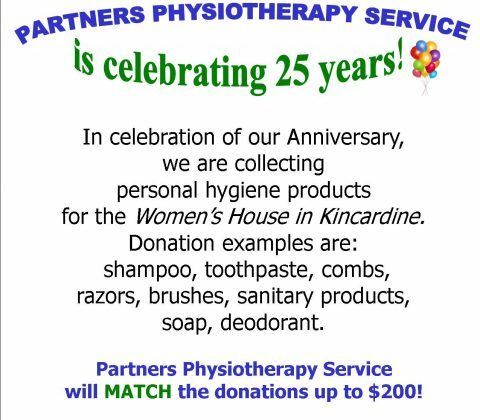 At the end of April, Partners will match these donations with a monetary gift. We will also be looking to provide sponsorship opportunities with other local organizations in other ways so that we can show our gratitude locally. We are now offering ergonomic services to small businesses in the area! Please give us a call if you have any questions. We are back and more excited then ever to share our new Website with you! Browse around and let us know if you have any questions or comments!